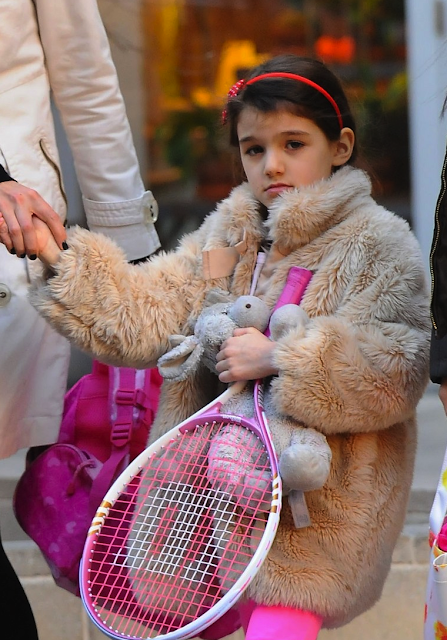 Katie Holmes walks hand in hand with her favorite tennis player, her daughter Suri, while heading to a racket club for some tennis in New York City on Monday March 4th, 2013. Sports, sneakers, jeans, and Suri. I'll bet we never thought those words could go together.